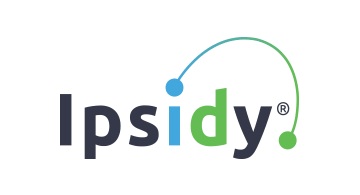 Ipsidy Inc (OTCQX:IDTY) is a provider of secure, biometric identification, identity management and electronic transaction processing services. Our identity transaction platform creates a trusted transaction, embedding authenticated identity and event details with a digital signature and using a participant’s mobile device to approve everyday transactions. Ipsidy’s platform offers biometric and multi-factor identity management solutions which support a wide variety of electronic transactions. We believe that it is essential that businesses and consumers know who is on the other side of an electronic transaction and have an audit trail, proving that the identity of the other party was duly authenticated. • VERIFIED PORTAL delivers an immediate authentication portal where agents can trigger biometric authentication of customers as well as everyday transactions such as account changes, account transfers and other service events. • SEARCH is our proprietary, identity management service that incudes Biometric Fingerprint Enrollment, Fingerprint Matching, and Fingerprint De-Duplication services. • TRANSACT allows users to build and manage a mobile payment ecosystem of trusted agents, merchants and consumers to accept closed-loop care transactions whether in-store, online, or in-app. Our mission is to provide our customers with the next level of transaction security, control and certainty over everyday transactions. Ipsidy is headquartered in New York and has operating subsidiaries: MultiPay in Colombia, www.multipay.com.co ; Cards Plus in South Africa, www.cardsplus.co.za ; and Ipsidy Enterprises in the U.K. Further information on Ipsidy can be found at www.ipsidy.com or contact us at sales@ipsidy.com .